in less than 4 Minutes! Most Loved Full Service Car Wash in Etobicoke! We really listen to our clients. We provide the extra level of attention that your car needs. We're FAST! Our vacuums are FREE! We're ALIVE! We have real, live people (no pay gates here!) on site to assist you. The 110 feet tunnel at 131 The West Mall Location and 135 feet tunnel at 305 Rexdale Blvd location both fully loaded with state of art equipment the exterior car wash takes about three minutes. With a full range of auto detailing services we are committed to making sure that every time you visit us for an exterior car wash or car detailing or quick car interior cleaning you are fully satisfied . When looking for car wash near me or best car interior cleaner, look no further, Popular Car Wash is so much than just a car wash. We proudly provide services that add value to your car; Free Self-Serve Vacuums, Popular Lube Shop, Corrosion Free rustproofing, New Tires for Winter, Summer or All Seasons, Tire Rotation and complete detailing services. With our knowledgeable and courteous staff, we make your car cleaning, Oil Change experience a pleasant one. For over 2 decades Popular Car Wash & Detailing, Etobicoke's finest soft cloth car wash is proudly serving Etobicoke, Rexdale, Toronto and surrounding areas in Mississauga and Vaughn. With our new edtion to Popular Lube Shop. Offers FREE CAR WASH WITH EVERY OIL CHANGE. Guaranteed Lowest prices on Michelin, Continental, Bridgestone. Popular Car Wash offers a wide range of car detailing services. Located at the main intersection of Rexdale Boulevard and Martin Grove we provide an easy access to our customers to the site, wait in our waiting room with free Wi-Fi, coffee and TV while your car is being detailed. 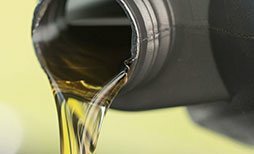 Get exclusive Popular Lube Shop Oil Change Deals in Etobicoke, PLUS a FREE CAR WASH with every oil change, Seasnol Tire change overs or with purchase of new tires. 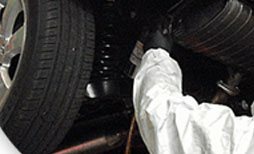 It's more than an oil change, it's preventive maintenance to change, inspect, check/fill and clean essential components of your vehicle and help keep it all running smoothly. We offer Castrol Oil Change, New Tires, Tire Rotation, Brake Repairs Services too. No Appointment Necessary! Improve your vehicle’s handling, increase tire life and drive more safely by checking your tires every month to ensure that they are inflated with the right amount of air pressure. 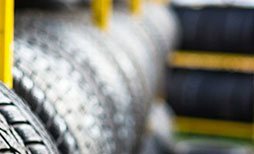 We offer a wide range of tires for your vehicle. Let our professional’s help you find, balance and mount the right tires for your car. Call or email us and let us help you with your tire services. CORROSION FREE ZONE - Today’s cars are high tech, very expensive and worth keeping longer! Because Rust is not a thing of the past, timely maintenance with Corrosion FREE's clean, clear and drip-free Formula 3000 for rustproofing in Etobocike is essential for long term protection. When you go for full protection 'C' package you receive FREE CAR WASH too. Gift cards are an easy way to let the recipient decide the service they would love to try out. 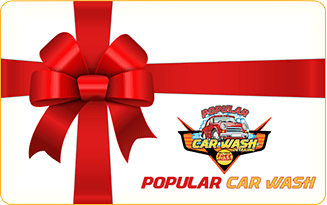 Gift your friends and family members and car wash service or available in amount of washes and dollar values you like to gift someone. Through continuous research and development, Popular Carwash champions the newest technology and services experience better for your vehicle and the environment. Want a free $10 Gift Card? Get yours now! Subscribe to the car wash mailing list & receive a $10 Gift Card plus exclusive specials, deals & discounts directly in your inbox. Remove brake dust from wheels, Remove most stains & dress tires. Popular Car Wash and there staff did a great job on our SUV. I got the interior detailed and car came back like brand new again. They did an excellent job. 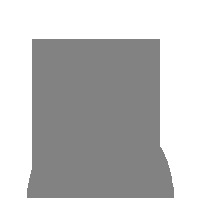 Customer service was excellent and attention to detail was also excellent. I would definitely go back. Keep up the great work. I wish there was a way to give more than 5 stars. The people at Popular Car Wash are the most professional people I have ever dealt with when it comes to car detailing and customer service. Jolly, the manager is a true gentleman and goes out of his way to ensure that the customer is completely satisfied and happy. The professionalism of the workers speaks to the quality of the work they perform. I would recommend Popular Car Wash to all of my friends and family. 5 stars for sure 10 if I could. Been taking my car(s) here for over 2 years now and can't imagine going anywhere else. The woman working the booth is always super friendly and the men and woman who wash/clean my car do an AMAZING job. I always recommend this company to ANYONE looking for quality with a low price tag. These guys are great! This is the best place for all your car needs! I have been coming to this place for all my car needs like car wash, detailing and oil/tire changes, its been five years now and I have experienced a lot of improvements done by the management in giving the best customer service at affordable prices! I highly recommend this place to all my knowns. They do a great job serving you! I got a gift card from my mother for this car wash. It is far for me to come in but I thought let's try them. After the service done I was happy I did came here to get my car clean. I tried so many places in last few years but never happy. These guys take there time to get the right job done. I'm happy and satisfied and I paid $20 tips to the guys. Highly recommend and I ll see you guys on regular bases thanks to my mom again for such a nice gift. I have been coming here for a year and I love it! The wash is great quality, I think its very clean and gentle for a touch wash (a spray nossle can only do so much). I personally buy the monthly basic wash pass which let you use it once a day. I don't use it that much but around 3 times a week I'll stop in when I'm in the area and it's still a bargain. There is hardly ever a long wait like as gas station after big storms. They have free vacuums and lots of them to use. I also sometime spend the extra $3-$5 when I want the Rim Lover or Lava Shine on top of my pass. The people are great. I also use their lube service. Nothing but good things to say about this small business. I wish them much success! These guys do a great job! Got my car washed with their Lava Ultimate package, Car was super shiny and they even hand wiped the car and rims.... love the staff there. Great car wash prices and actually cleans your car. Free vacuum is always a bonus. And they have a quick in and out detail where they clean your car for about $25. Great place. plus exclusive specials, deals, & discounts directly in your inbox. 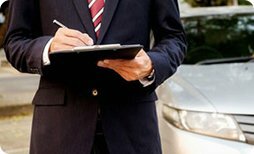 Providing your license plate number allows us to track and improve your washes & tailor promotions to your favorite package & services. By clicking "Subscribe" you agree to receive promotional emails from Car Wash.